Getting to the point where your consciousness is expanded and your soul is fully awake is not an easy place to get to. It’s not impossible, it just takes a bit of time. If anyone is looking for a quick fix or a magic pill to get them to this state, you’re on the wrong planet. To awaken your soul takes a bit of persistence, some patience and faith. It won’t happen overnight but you can make it happen. The result? A beautiful soul and energy that can appreciate love and manifest anything into being. Some say this is new age thinking and they are probably right. In my opinion, those whom aren’t open to at least a slight amount of awakening will miss out on hidden beauty the world has to offer. What is it that only awakened souls know and completely understand? Always a heated topic. Either you believe in it or you simply don’t. There’s no in between here. Those with awakened souls get the concept of learning new things and expanding to prepare for rebirth. Being freed from your human suit into the spiritual realm is something awakened souls might actually look forward to. The spiritual place is one of love, light and free from pain. Who wouldn’t want to enter there? Knowing what you are here for and actively pursuing it is something these souls will do with determination and an open mind. They understand they are here for a reason and make sure they are in line with their purpose a t all times. Reflecting on our lives keeps us accountable for our soul’s purpose. There may be a time when we slip away from our true vision and purpose. Reflecting is important for us to steer us back in the direction we belong. Not only is it important, it’s necessary. There is no other love. The awakened soul loves all beings and creatures and does not judge. Unconditional love is the purest form. There is an acceptance and a respect only these souls will understand. There is no judging or hate here. They are aware o f who and what they are and value the importance of being responsible for their beliefs and staying true to their purpose. These souls are open to redemption if they required. They are open to receiving anything that will truly serve them and won’t take manifestation lightly. The power of manifesting can be abused and awakened souls are completely aware of this power. They only manifest what they need, not for greed or materialistic tendencies, but to nourish their soul s and help them live out their purpose. Each and every one of us are part o f the bigger and beautiful collective that is Universe. We understand that we all have everything we already need inside of us to live beautiful lives filled with love and light. 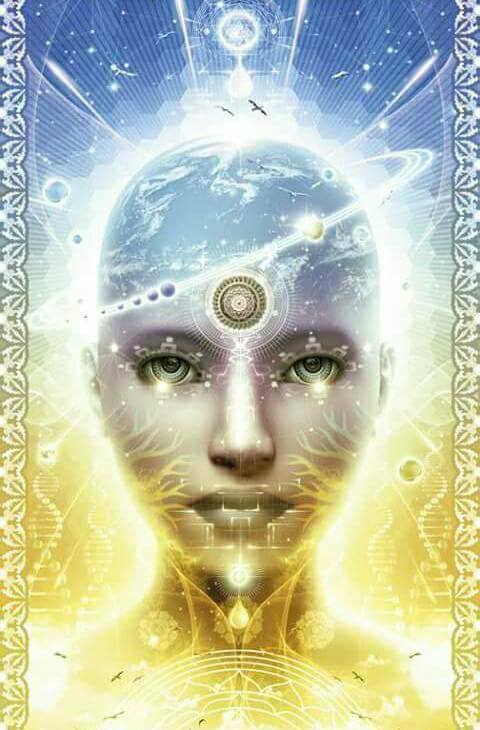 Awakened souls are fully aware of what no longer serves them and what needs to take place in order to transform into the light being that they long to be. To be an awakened soul is like nothing you’ve ever experienced before. They have an aura around them that is warm and beautiful. You will recognize them instantly and want to be around them more. They are natural healers and radiate love and light. Becoming one will be one of the most liberating thing s you can ever do for yourself. There will be no hate, no judgement and only love. This entry was posted in Angels, Art, Healing, Hinduism, Love, Manifestation, Meditation, Metaphysical, Philosophy, Quantum Thought, Spiritual and tagged 9 Things Only Awakened Souls Will Understand, Alchemy, Ascension, Blue, Buddhism, DREAMCATCHERREALITY, Meditation, Nature, Spiritual, Steven Aitchison, Transformation. Ha! I planned to post again but am having one of those meltdown days when the lack of sleep has caught up with me and lo and behold Sindy has posted the perfect follow-up to my post yesterday. Love synchronicity!!! And the release in understanding within is like nothing else on this world. It can be as gentle as a butterfly or come from out of the blue, but either way you know you have finally become free of that last wall and can now begin to truly feel the love within. beautiful and full of knowledge.Thanks for shearing.keep blogging.